First gained fame as an iconic actor in such classic Western films as A Fistful of Dollars and The Good, the Bad and the Ugly and as Detective Harry Callahan in the Dirty Harry franchise. He later became a renowned director, receiving the Academy Awards for Best Director and Best Picture for his films Unforgiven and Million Dollar Baby. He also directed the critically acclaimed films Mystic River, Gran Torino and American Sniper. 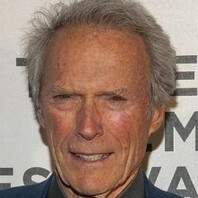 How much is Clint Eastwood worth? Once a man has some money, peace begins to sound good to him.